Maria Beatrice di Savoia, Principessa di Savoia was born on 6 December 1792 at Turin, ItalyG. She was the daughter of Vittorio Emanuele I di Savoia, Re di Sardegna and Maria Theresia Erzherzogin von Österreich-Este.1 She married Franz IV Erzherzog von Österreich-Este, son of Ferdinand Karl Erzherzog von Österreich and Maria Beatrice d'Este, Duchessa di Modena, on 20 June 1812 at Cágliari, Sardinia, ItalyG. She died on 15 September 1840 at age 47 at CattajoG. She gained the title of Principessa Maria Beatrice di Savoia. The representation of the House of Stuart passes through Maria Beatrice. 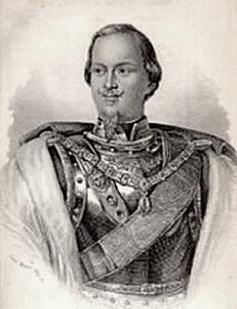 Carlo Emanuele di Savoia, Principe di Savoia was born on 3 November 1796 at Turin, ItalyG. He was the son of Vittorio Emanuele I di Savoia, Re di Sardegna and Maria Theresia Erzherzogin von Österreich-Este.1 He died on 9 August 1799 at age 2 at Cágliari, Sardinia, ItalyG. 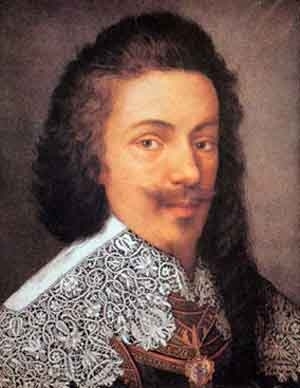 He gained the title of Principe Carlo Emanuele di Savoia. 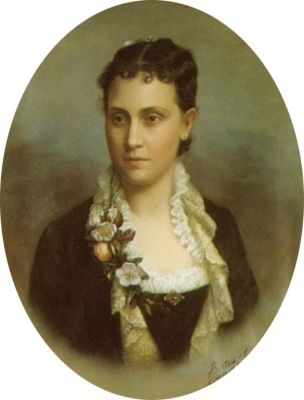 Maria Teresa Ferdinanda di Savoia, Principessa di Savoia was born on 19 September 1803 at Rome, ItalyG. She was the daughter of Vittorio Emanuele I di Savoia, Re di Sardegna and Maria Theresia Erzherzogin von Österreich-Este.1 She married Carlo Luigi II di Borbone, Duca di Parma, son of Luigi I di Borbone, King of Etruria and Maria Luisa de Borbón, Infanta de España, on 5 September 1820 at Turin, ItalyG. She died on 16 July 1879 at age 75. She was also known as Principessa Maria Teresa di Savoia. Luigi Vittorio di Savoia-Carignano, Principe di Carignano was born on 25 September 1721. He was the son of Vittorio Amadeo I di Savoia-Carignano, Principe di Carignano and Vittoria Francesca Madamigell di Susa.1 He married Christine Landgräfin von Hessen-Rheinfels-Rottenburg, daughter of Ernst Leopold Landgraf von Hessen-Rheinfels-Rottenburg.2 He died on 16 December 1778 at age 57. He gained the title of Principe Luigi Vittorio di Carignano. 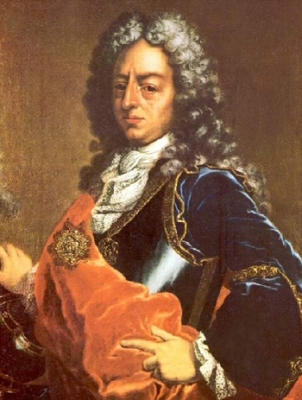 Vittorio Amadeo I di Savoia-Carignano, Principe di Carignano was born circa 28 February 1690 at Turin, ItalyG. He was the son of Emanuele Filiberto di Savoia, Prince de Carignan.1 He married Vittoria Francesca Madamigell di Susa, daughter of Vittorio Amedeo II di Savoia, Re di Sicilia e Sardegna and Jeanne Baptiste d'Albert de Luynes, on 7 November 1714. He died on 4 April 1741. He gained the title of Principe Vittorio di Carignano. He was a deaf mute. 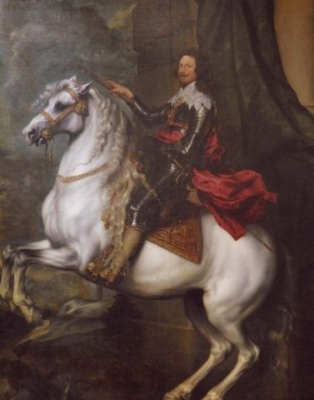 Tommaso Francesco di Savoia, Prince de Carignan was born on 21 December 1596 at Turin, Italy.3 He was the son of Carlo Emanuele I, Duca di Savoia and Catalina Micaela von Habsburg.1 He married Marie de Bourbon-Condé, Comtesse de Soissons on 6 January 1625.3 He died on 22 January 1656 at age 59 at Turin, ItalyG. Isabella Marie Elisabeth Prinzessin von Bayern was born on 31 August 1863 at Nymphenburg, GermanyG. She was the daughter of Adalbert Wilhelm Georg Prinz von Bayern and Amelia de Borbón, Infanta de España.1 She married Tommaso di Savoia-Genova, 2nd Duca di Genova, son of Ferdinando Maria di Savoia-Carignano, Re di Sicilia and Maria Elisabeth Maximiliana Prinzessin von Sachsen, in 1883 at Nymphenburg, GermanyG.1 She died on 26 February 1924 at age 60 at Rome, ItalyG. She was also known as Isabella Prinzessin von Bayern. Adalbert Wilhelm Georg Prinz von Bayern was born on 26 August 1828. He was the son of Ludwig I König von Bayern and Therese Charlotte Luise Prinzessin von Sachsen-Hildburghausen. He married Amelia de Borbón, Infanta de España, daughter of Francisco de Paula de Borbón, Duque de Cádiz and Luisa Carlota di Borbone, Principessa delle Due Sicilie, on 25 August 1856 at Madrid, SpainG. He died on 21 September 1875 at age 47 at Nymphenburg, GermanyG.